It started as just another errand in a busy day. 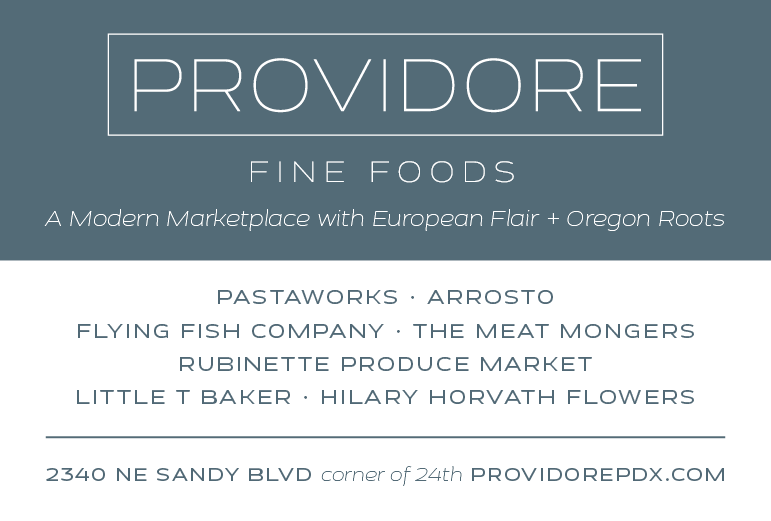 The small tank that carbonates the beer in Dave's kegerator was running low, so I headed over to our handy dandy gas supplier in northwest Portland. 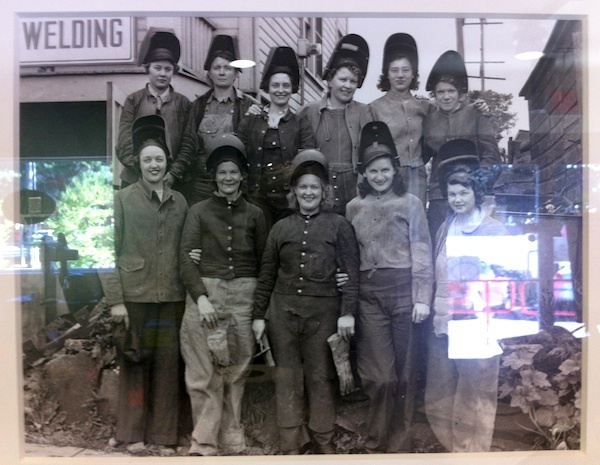 As I was waiting, I glanced over at a nearby column where I noticed a framed black-and-white photo of a group of women in welding garb. There was a little typed tag glued to the mat that read "Swan Island 1942." Intrigued, I pulled out my phone and took a shot. I asked the guy at the counter if he knew anything about it and he shook his head. 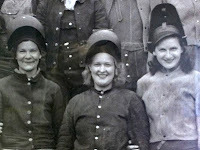 A little research revealed that, as WWII took more and more men away to war, there was huge recruitment effort to get women onto the factory floors and into manufacturing plants to keep the guns, bullets and ships flowing to the war effort. One source, the Oregon History Project of the Oregon Historical Society, says that "at their peak, the two Portland shipyards—Oregon Shipbuilding and Swan Island—employed 16,000 women, and the two child-care centers cared for approximately 700 children." 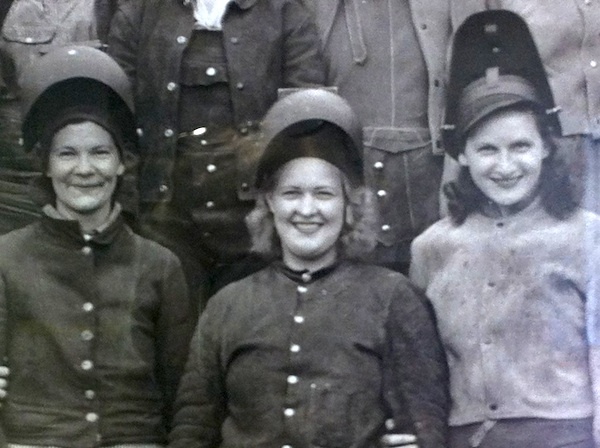 The wage scale for these women welders was the same as that for men and, as indicated above, with the influx of women into the workforce, industries quickly responded to their workers' need for childcare by establishing round-the-clock onsite centers. 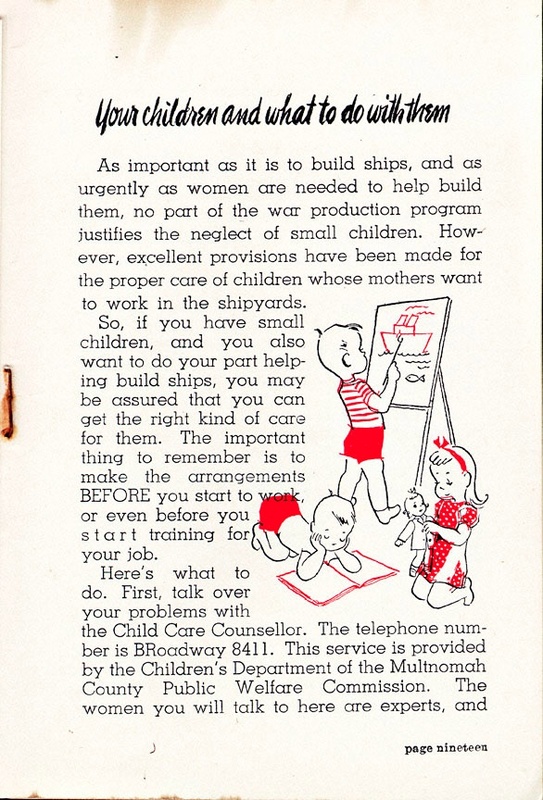 Our very own Multnomah County even had a handbook (right) for working women and a child care counseling service that, like the onsite centers themselves, was staffed by child care professionals. As you might expect, at the end of the war most of the women went back to their previous roles as wives and mothers. Some who wanted to stay were able to keep their jobs, but many were essentially forced out when the men returned. But this 70-year-old photograph certainly raises intriguing questions when compared to today, when pay equity is a problem—women are paid 75 cents on the dollar that men make in comparable jobs—and daycare is something that a working woman has to solve on her own with little or no help from her employer. Just goes to show you never know what you'll run across on your next errand.